Pan fried homestyle potatoes (жареная картошка) is very popular and simple comfort food in Russian,Ukrainian, and Belorussian cuisines.You can almost call it national dish.My mom would always prepare it for us when we were growing up.It’s quick,its easy and most of all it’s delicious.You can have it for breakfast with fried eggs,lunch with fresh tomato salad,or dinner with russian style meat patties(Kotleti) or sautéed mushrooms. Wash throughly and drain peeled and julienned potatoes. Heat a skillet on high heat. When potatoes are slightly browned,throw in sliced onions and butter. 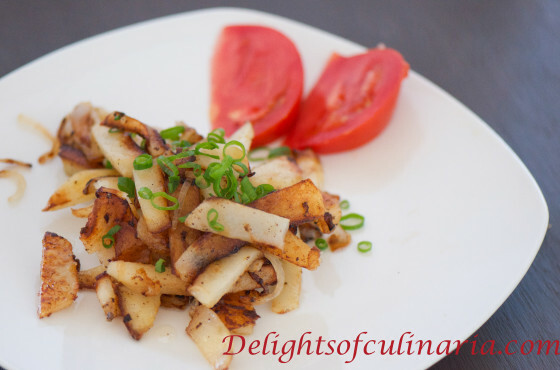 Transfer fried potatoes to a serving plate and garnish with desired herbs and ketchup. 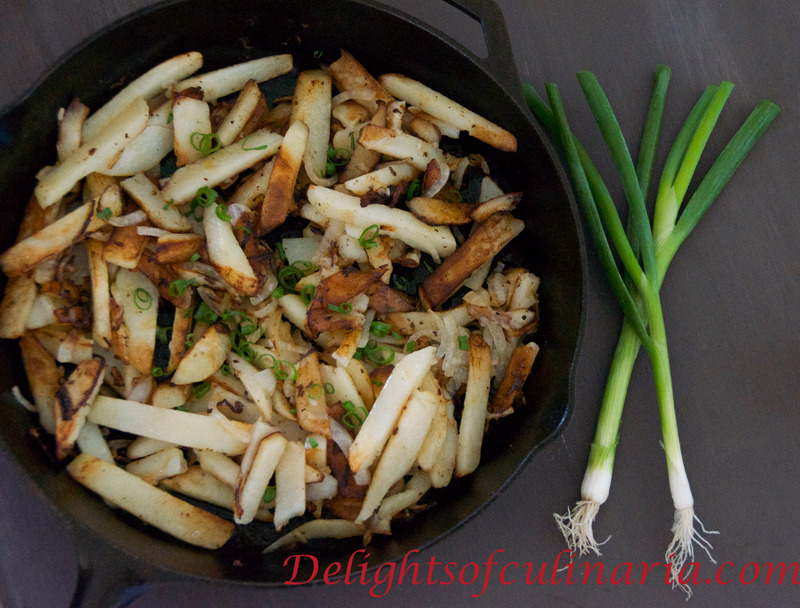 * If you prefer not really browned potatoes,you will need to cook it under the lid on medium-high heat. Wow, that looks so delicious! I think I may try it with sweet potatoes too! Thank you Theresa! never tried with sweet potatoes,come back and tell me how was it.